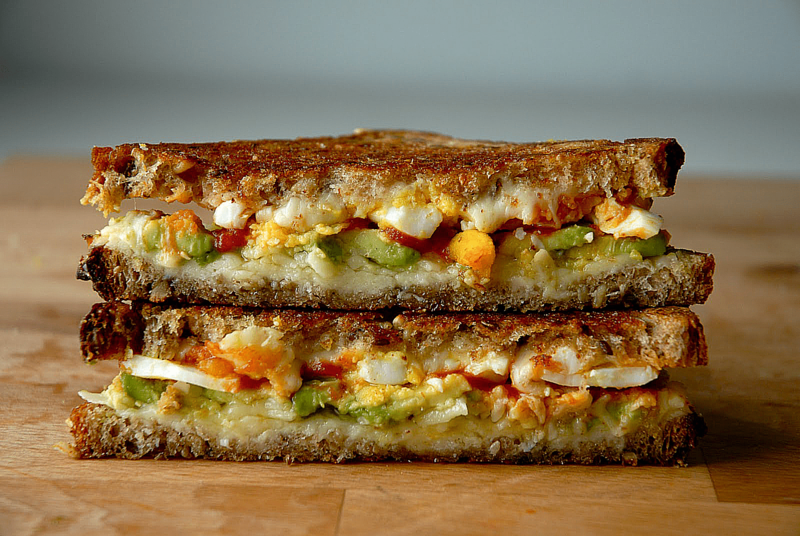 Breakfast on the go is easy with this creamy and rich grilled cheese! Alpine-style Alpha Tolman Cheese by The Cellars at Jasper Hill melts beautifully alongside scrambled eggs and fresh slices of salted tomatoes. Hearty Texas toast helps keep everything glued together and the Garlic Habanero Hot Sauce adds an extra zing of flavor and helps awaken the taste buds early in the morning. This sandwich definitely will make your breakfast more exciting.